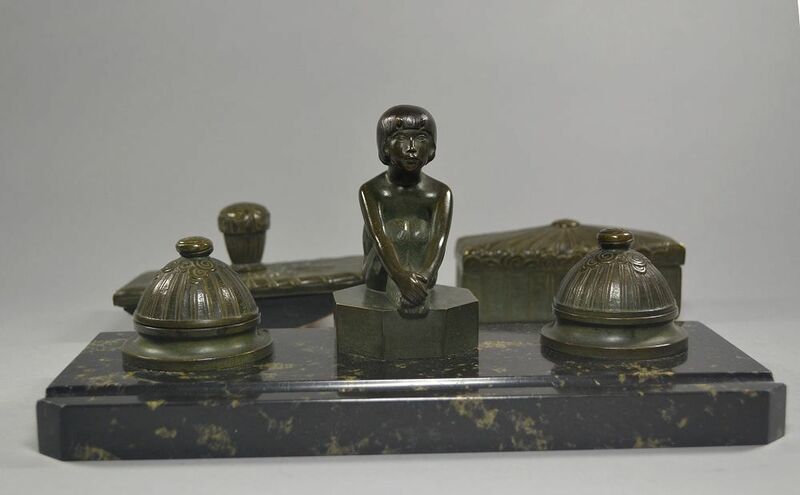 Exquisite 1920's Paul Silvestre (1884-1976) little faun mounted on Maurice Delannoy (1885-1972) desk accessories set. 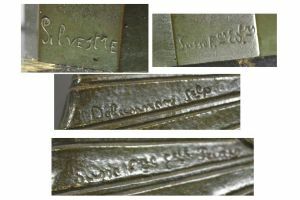 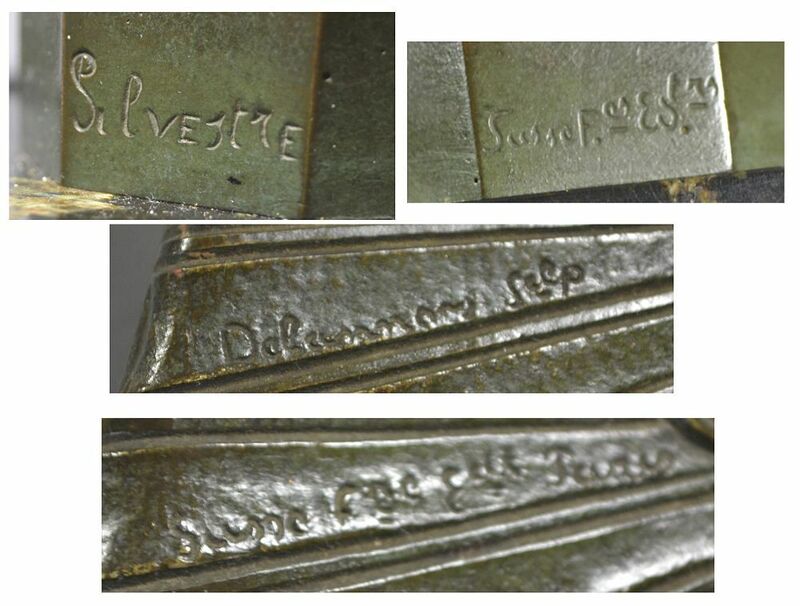 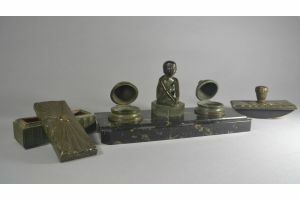 All pieces made of bronze, signed Silvestre or Delannoy and inscribed with Susse foudry mark. 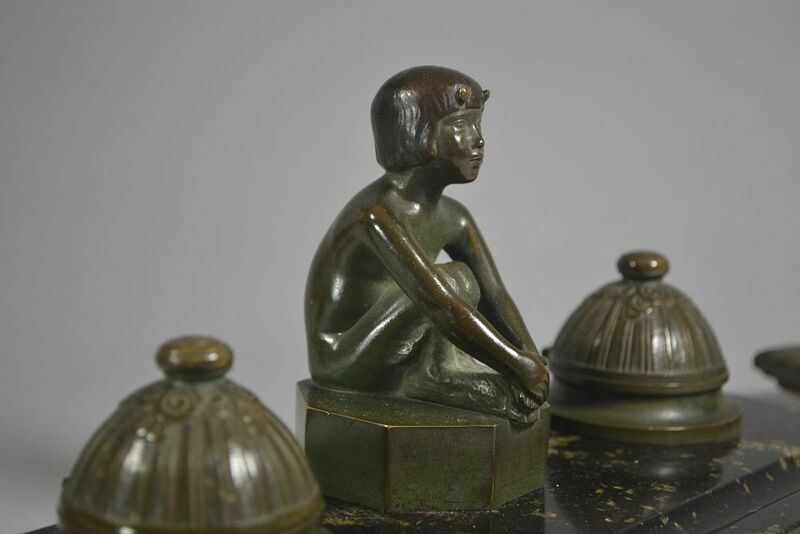 As always for this editor, very high quality of foundry and chasing. 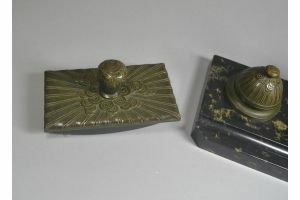 Not visible on my pictures, there are two small glass pots for ink inside bronze inkwells. 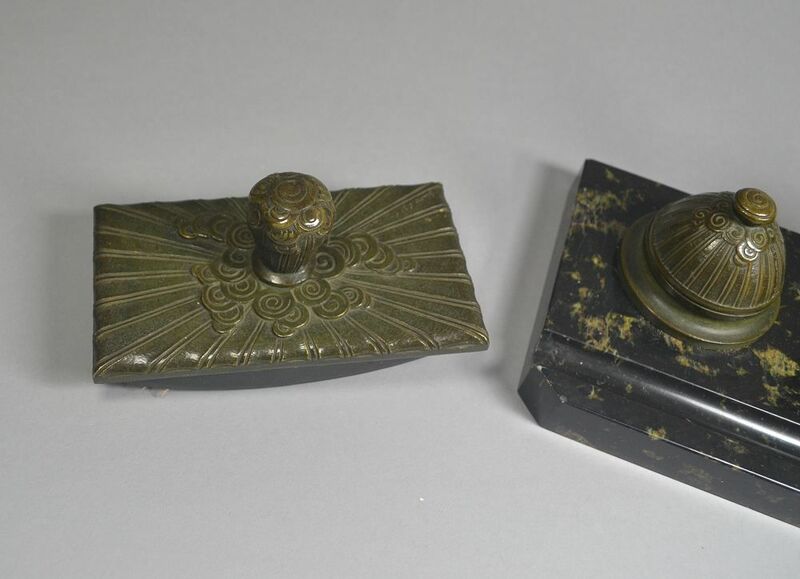 I have the original ones. 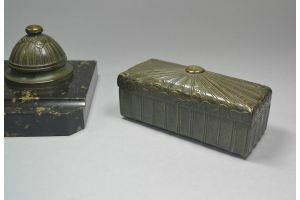 One is perfect, the other have a chip. 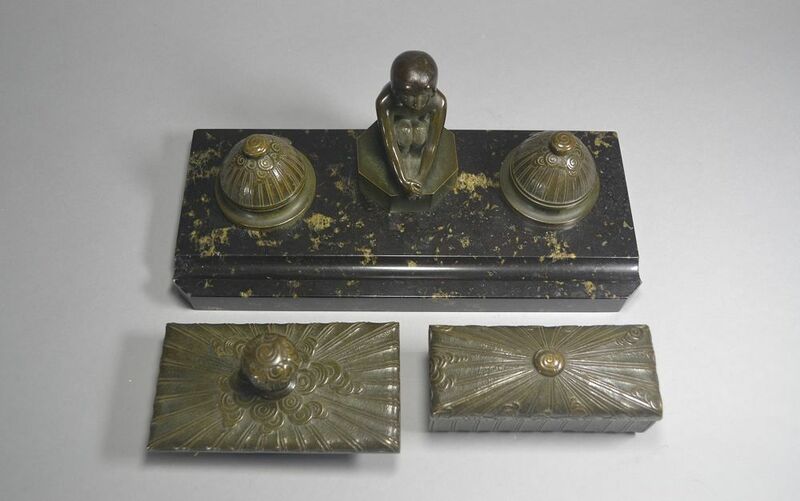 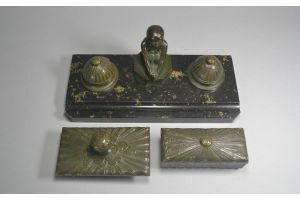 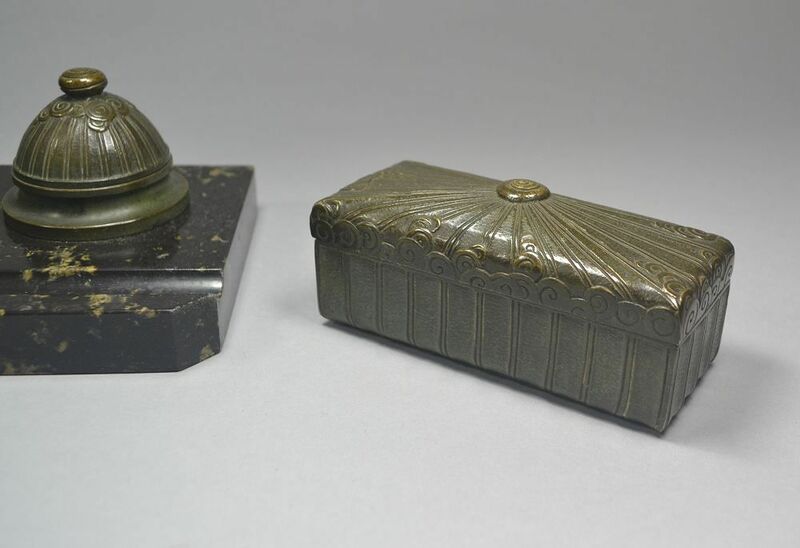 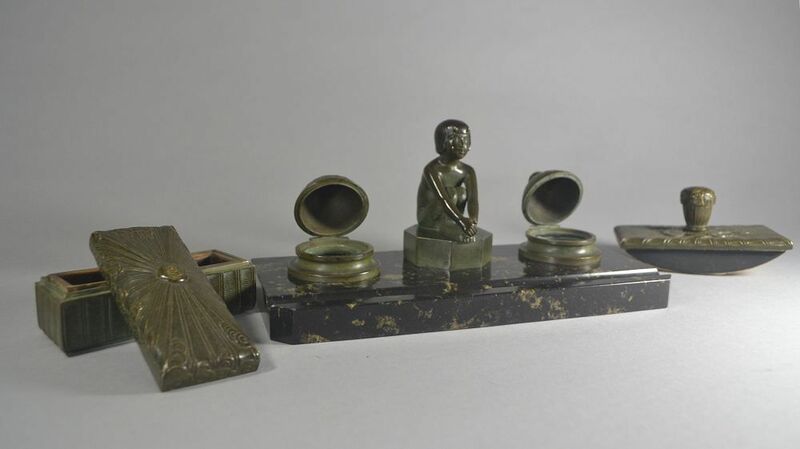 These glass pots are not visible when inkwell bronze part cover are closed.